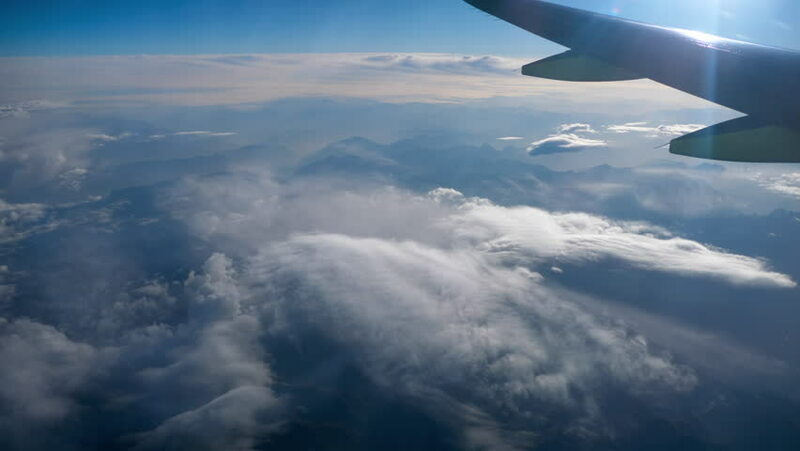 Beautiful view through airplane window, airplane flying above the mountains and clouds. China territory. 4k00:13Beautiful view through airplane window, airplane flying above the mountains. China territory.